I love classic clothing that creates a timeless portrait of your child. 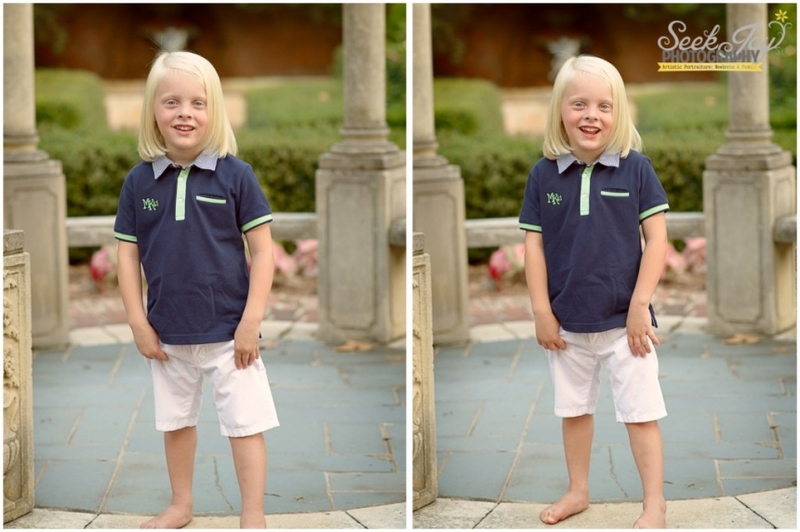 This navy shirt and white shorts were provided by The Petite Parade for this child photography session with Obie. 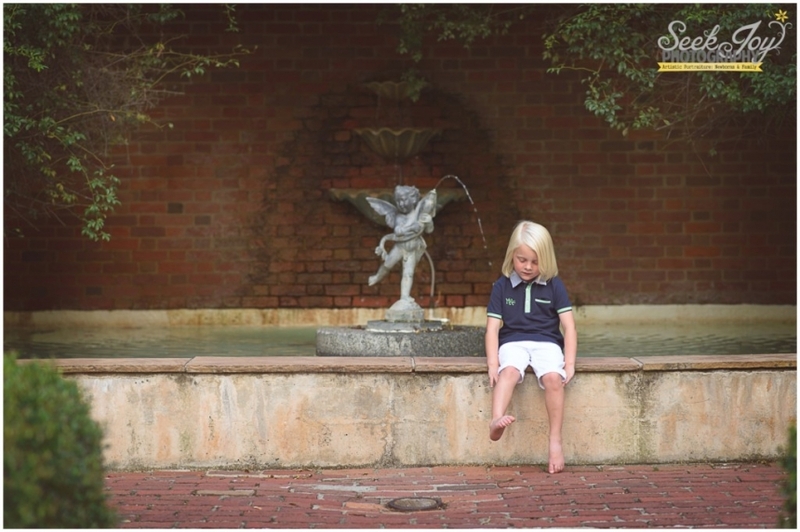 We met up this summer in the evening at the Rose Garden at Furman University–one of my favorite spots on Furman’s campus. Obie had amazing hair–this little guy definitely can pull off long hair. 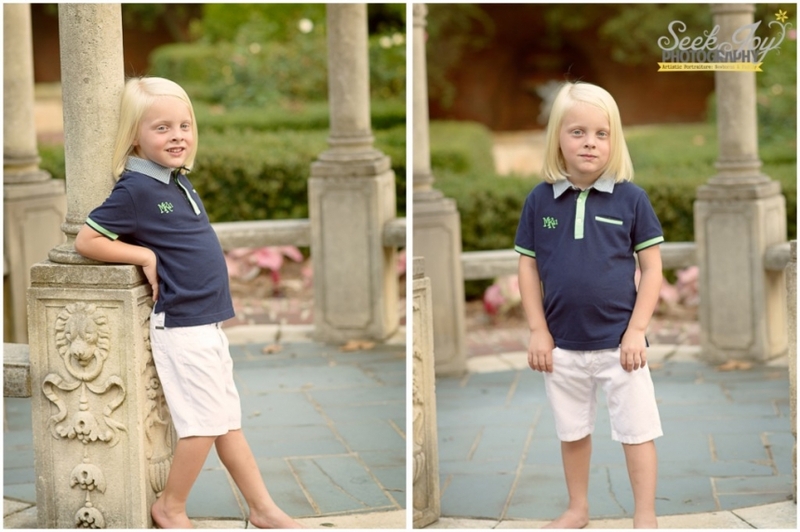 My favorite pose for little boys is to have them stand feet apart with thumbs in their pockets–keeps busy hands still and creates a nice classic pose. Be sure to check out the children portrait portfolio link at the top of the page to see more!